Hitachi, Ltd. has received an order from Chubu Electric Power Co., Inc. for the delivery of two Voltage-Sourced Frequency Converters (300,000 kW each; 1FC(1) and 3FC) for Higashi Shimizu Substation, equipment installation construction work and tests. 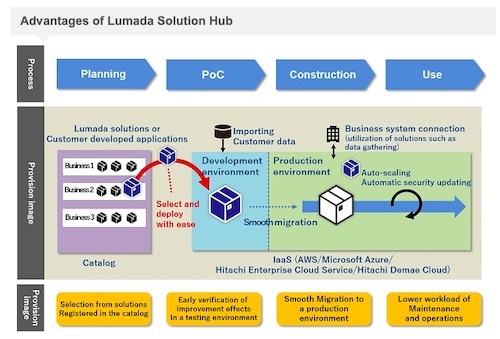 AMADA to Construct a Human-Friendly Next-Generation Manufacturing Model Utilizing IoT at Main Production Facilities in Japan through Collaborative Creation with Hitachi. 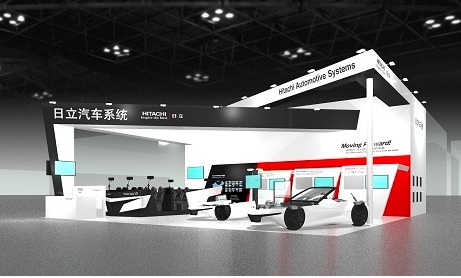 Hitachi Automotive Systems will exhibit at Auto Shanghai 2019 - The 18th International Automobile Industry Exhibition, which will be held from April 16-25 in Shanghai, People&apos;s Republic of China. 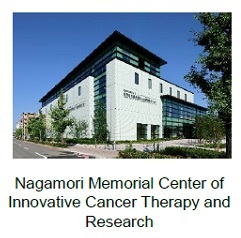 Hitachi, Ltd. has announced that the radiation therapy started on April 1, 2019 at Nagamori Memorial Center of Innovative Cancer Therapy and Research at Kyoto Prefectural University of Medicine (Nagamori Memorial Center of Innovative Cancer Therapy and Research) which introduced Hitachi&apos;s radiation therapy systems. 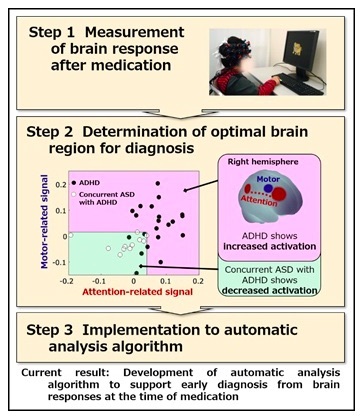 Hitachi, Ltd. and the German Research Center for Artificial Intelligence GmbH (DFKI) jointly developed an AI based technology for quantifying physical load on a worker wearing a sensor suit and for providing effective feedbacks on the movement of each body part. 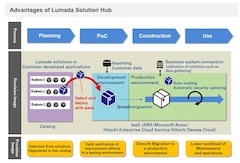 Hitachi, Ltd. will sequentially release Lumada Solution Hub from April 1, 2019, to advance and facilitate customers&apos; digital transformation and help them innovate. Hitachi Automotive Systems, Ltd. is strengthening its global organizational structure effective from April 1, 2019, to achieve its ambitions of global leadership and being a true value creator for stakeholders. 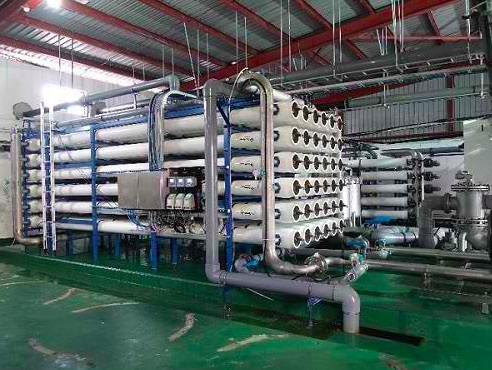 Hitachi, Ltd., is currently conducting a public tender offer to acquire all issued shares of Yungtay Engineering Co., Ltd. (TWSE: 1507), an elevator and escalator company based in Taiwan, via Hitachi Elevator Taiwan Co., Ltd., a wholly owned subsidiary of Hitachi. State Bank of India (SBI) and Hitachi Payment Services Pvt. Ltd., a wholly owned subsidiary of Hitachi, Ltd., announced the launch of merchant acquiring joint venture, SBI Payment Services Pvt. Ltd. (SBIPSPL) in Mumbai, for establishing a state-of-the-art digital payments platform for India and other countries in the region. Team Penske and Hitachi Group announced a continuation of their partnership for the 2019 NTT IndyCar Series season. Hitachi, Ltd. will strengthen its business structures to enhance its digital solution business as a strategy to further expand business in the People&apos;s Republic of China. 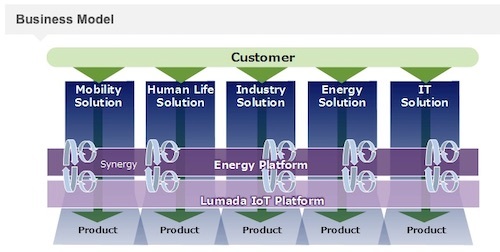 Hitachi Consumer Marketing, Inc. and Hitachi Appliances, Inc. will, effective April 1, 2019, form a new company that will be a leader in the home appliance and air conditioner business in the digital era within the "Human Life" domain, upon which the Hitachi Group is focusing. University of Utah Health (U of U Health) and Hitachi, Ltd. announced that U of U Health has begun a prospective clinical study of a pharmacotherapy selection system co-developed with Hitachi at 13 primary care clinic sites starting from February 2019. 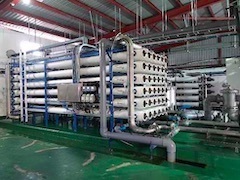 The Hitachi Group will be supplying facilities and equipment for water infrastructure projects in developing countries mainly in Asia. Hitachi, Ltd., Jichi Medical University (JMU), International University of Health and Welfare (IUHW) and Chuo University (Chuo-U) have developed fundamental technology to support the early differential diagnosis of concurrent autism spectrum disorder (ASD) in patients with attention-deficit hyperactivity disorder(2) (ADHD). Hitachi, Ltd. announced on October 25, 2018 that Hitachi Industrial Products, Ltd., a newly established company, will succeed to the Industrial Products Business Unit that operates the business of large-sized industrial equipment through an absorption-type split to strengthen the product business. Hitachi and Hitachi Industrial Equipment Systems today concluded an absorption-type split agreement for the Company Split and, therefore, announce details of the matters that were undecided in the news release dated November 12, 2018. 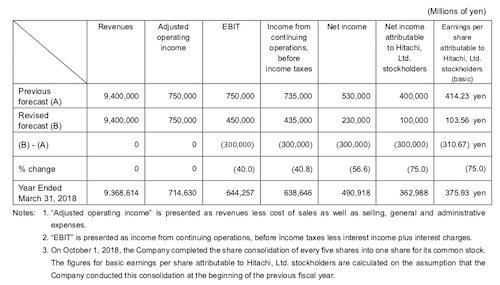 Hitachi, Ltd. announced that on April 1, 2019, it will strengthen its business structures, in order to achieve a transformation into a global leader, as laid out in the 2021 Mid-term Management Plan. Hitachi, Ltd. will strengthen its wind power generator maintenance services and expand its core product of wind power generation solution business, as part of efforts to strengthen its renewable energy business, including community-based and collaborative creation-oriented energy projects that combine solar power, storage batteries, EMS and other elements. Hitachi, Ltd. (TSE:6501) today announced that its (indirectly) wholly owned subsidiary, Hitachi Rail Italy Investments S.r.l., will come to hold 99.156% shares of Ansaldo STS S.p.A. on January 25, 2019 and will exercise the right to purchase all of the outstanding shares at Euro 12.70 per share. Hitachi, Ltd. today announced that it has decided to suspend its new nuclear power stations project in the UK (Horizon Project) that Horizon Nuclear Power Limited (HNP), a subsidiary of Hitachi and power generation development company in the UK, has been undertaking at Wylfa Newydd on Anglesey Island in north-west Wales. Taiwan Hitachi Asia Pacific Co., Ltd., a local group company of Hitachi, Ltd. (TSE: 6501) in Taiwan (Hitachi), has been awarded today an order of approx. NT$ 44.3 billion (approx. 160 billion yen) for the supply of 600 Electric Multiple Unit (EMU) train cars (12 cars x 50 trainsets) for Intercity Express service from the Taiwan Railways Administration (TRA), railway operator, and Bank of Taiwan, procurement agent of TRA. Hitachi Automotive Systems, Ltd. has developed a technology for its in-vehicle stereo cameras that enables highly accurate detection of small road surface irregularities while driving, including holes and small debris. Hitachi Automotive Systems, Ltd. has concluded a share transfer agreement with PTC2 Holdings Inc. a special-purpose company which is established by Polaris Capital Group Co., Ltd. to transfer all shares owned by Hitachi Automotive Systems in its wholly owned subsidiary, Hitachi Automotive Systems Measurement, Ltd., which engages in the energy station and plant construction businesses. Hitachi, Ltd. had concluded an agreement with INCJ, Ltd. and Maxell Holdings, Ltd. to restructure the capital affiliation of Hitachi Vehicle Energy, Ltd. to form a joint-stock partnership structure with these companies, and had concluded both a basic agreement and share transfer agreement with them. Hitachi, Ltd. has decided to acquire the world-leading power grids business from ABB Ltd and has signed an agreement with ABB. 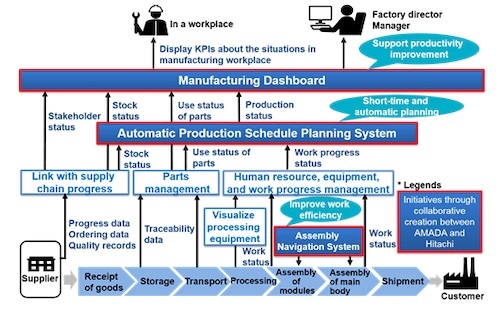 Hitachi, Ltd., Infosys Ltd., Panasonic Corporation, and Pasona Group Inc. announced that a contract was signed on December 14, 2018, regarding the transfer of part of the shares owned by Hitachi in Hitachi Procurement Service Co., Ltd. to Infosys, Panasonic, and Pasona Group&apos;s subsidiary PASONA Inc.
Hitachi Automotive Systems, Ltd. has signed an agreement with Knorr-Bremse AG, the German global market leader for braking systems, to transfer Hitachi Automotive Systems&apos; commercial vehicle steering business to Knorr-Bremse.